of newer make may suddenly no longer be recognised from the computer by their type or number. The operating system will not boot up, or there will be no access to the drive at all. At the PC’s setup menu the disk will be only found by a wrong name. E.g. 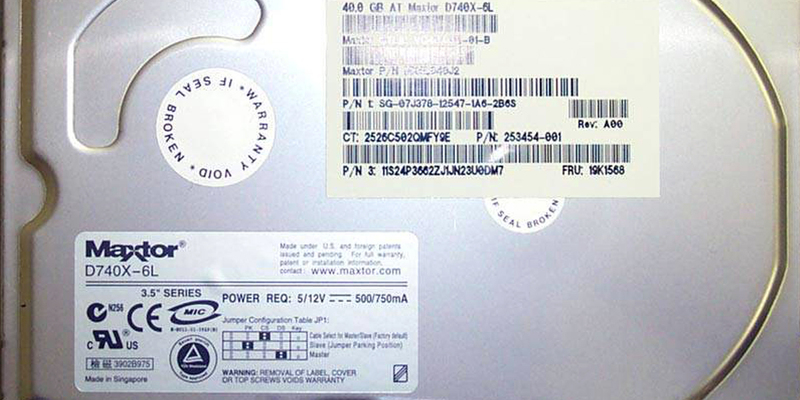 a Maxtor harddisk of the type 4D040H2 may then be shown as “Romulus”. Data recovery methods developed by us allow a high rate of successful recoveries! Make use of our knowledge for your benefit!